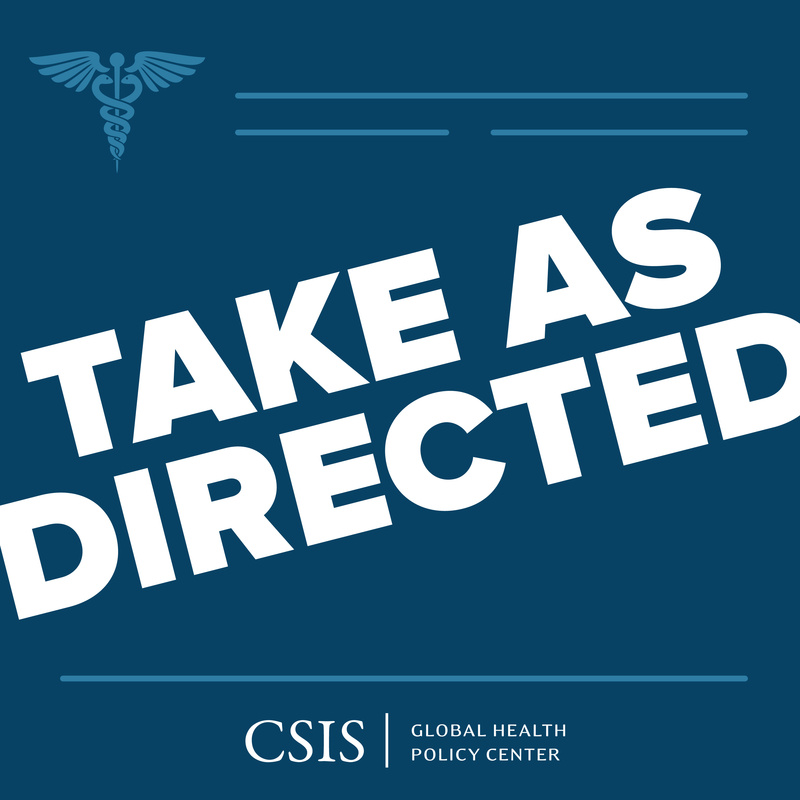 Welcome to the July 2017 newsletter from the Global Health Policy Center (GHPC) at the Center for Strategic and International Studies (CSIS)! We invite you to catch up on our latest content. Protecting the United States from the Health Security Risk of Global Tuberculosis: Tuberculosis (TB), an airborne infectious disease, is the number one infectious disease killer worldwide. Moreover, drug-resistant forms of TB are rapidly rising and pose a health security threat to the U.S. Cases of multidrug-resistant TB (MDR-TB) and extensively drug-resistant TB (XDR-TB) are difficult to treat, costly, and often fatal. From March to April 2017, CSIS convened a series of discussions with domestic and global TB experts on the greatest pressing issues in TB control, financing, research, and product development. A new report by GHPC Senior Fellow Audrey Jackson resulted from those consultations. To protect Americans and to make the most of the newly available medical countermeasures, innovative scientific thinking, and burgeoning international political will, the time is ripe for a heightened U.S. focus on the global TB epidemic. We call for the U.S. government to invest strategically in domestic and global TB programs and research and development (R&D) that will contribute to ending the TB epidemic. In the short-term, there are existing and newly emerging treatments and diagnostics that can be deployed effectively to reduce the impact of TB in the United States and globally. Innovations in service delivery can enhance treatment outcomes and prevent the development and spread of MDR-TB and XDR-TB. Immediate and ongoing investments in R&D are also needed to stimulate new treatments, diagnostics, and ultimately a vaccine to end the global TB epidemic. In February 2017, the GHPC convened an expert working group on HIV to discuss critical issues affecting continued U.S. leadership on HIV and progress toward control of the pandemic. On June 21, my colleague Sara Allinder, Deputy Director and Senior Fellow, and I published a policy brief, “A Moment of Reckoning for U.S. Leadership on Global HIV” on behalf of the group. The brief is a response to the Trump administration’s proposed $2 billion in cuts to global health and makes recommendations to the Trump administration and Congress on global HIV strategy. A subgroup of the HIV working group examined the urgency of preventing HIV infections among adolescent girls and young women, especially in east and southern Africa. In “The Next Frontier: Stop New HIV Infections in Adolescent Girls and Young Women,” Janet Fleischman, Senior Associate, and Katey Peck, Program Manager and Research Associate, describe the high burden of HIV on this population, a U.S.-led public private partnership to reduce new infection rates, and steps the Trump administration and Congress should take to strengthen U.S. leadership and impact in this area. Over the next month, the working group will publish an expanded version of the short policy brief, as well as companion papers focused on the Global Fund and sustainability/country ownership, and country studies about adolescent girls and young women in Malawi and PEPFAR’s transition in Thailand and Cambodia. Yellow Fever in Brazil: The Latest Global Health Security Threat: In mid-January, the Brazilian state of Minas Gerais declared a 180-day state of emergency following eight yellow fever-related deaths. Since then, the virus has swept across much of Brazil, with confirmed cases in rural villages spanning 130 municipalities in nine states. And while Brazil has responded aggressively to the outbreak, concerns remain that the virus could eventually reach one of its major cities or even move beyond its borders, thereby igniting a larger yellow fever epidemic. In a new blog post, Program Manager and Research Associate Chris Millard explores the current outbreak in Brazil and enumerates several risks it poses to the international community, including depleting the global supply of yellow fever vaccine and the risk of case exportation. Brazil's Sistema Único da Saúde (SUS): Caught in the Cross Fire: In a recent blog describing the challenges facing Brazil's health system, Senior Associate Katherine Bliss notes that three quarters of the country's roughly 210 million people depend entirely on the Sistema Único da Saúde, or SUS, for their primary health care. Experts credit the strength of the health system when speaking about Brazil's quick response to a suspected Ebola case in 2014 and point out that Brazilian health specialists were the ones to identify the connection between a pregnant woman's infection with Zika virus and her baby's neurological complications in 2016. But economic recession, corruption scandals, and political crisis have all taken their toll on the SUS, and a recent constitutional amendment limits increases in public spending, including health spending, to inflation for the next 20 years. With migrants from Venezuela flooding into northern Brazil to seek health services, and with a yellow fever outbreak in several of Brazil's southern states, Dr. Bliss writes that maintaining the capacity of the SUS to anticipate and respond to health crises should remain a priority. GPEI’s Funding Decline Among Tedros’ Top Challenges as WHO Director-General: In a recent blog, Senior Fellow Nellie Bristol explains that World Health Organization (WHO) funding declines associated with winding down the Global Polio Eradication Initiative are among Director-General Tedros’ top concerns as he takes office July 1. Polio funding makes up 27 percent of the WHO’s total expenditures, including 44 percent in the organization’s Africa region. While some polio assets will be redundant after polio is eradicated, others will be needed to ensure long-term polio immunization, surveillance, and biosecurity. Further, expanded cold chain capabilities, disease surveillance, and other functions enhanced through polio program funding could be discontinued, diminishing public health capacities. While countries should shape their own polio transitions, WHO will need to ensure adequate finances and coordination for polio essential functions, regional and global surveillance networks, and emergency response capabilities. Rebalancing National Health Systems: Innovation and Sustainability: On April 14, the GHPC and the Health and Global Policy Institute (HGPI), with support from Gilead Sciences, Inc., co-hosted a half-day symposium in Tokyo, Japan on how governments can best balance healthcare innovation with long-term financial sustainability. This public event was attended by approximately 100 individuals, comprised of industry, NGOs, government officials, and academia. The day commenced with keynote addresses from Keizo Takemi, Member of the Japanese House of Councilors; Yasuhiro Suzuki, Director General of the Health Insurance Bureau in the Japanese Ministry of Health, Labour, and Welfare; and myself. The keynote addresses were then followed by two expert panel discussions, focusing on the issue of balancing healthcare innovation with long-term financial sustainability from both an international and Japanese-specific perspective. Speakers on both panels largely agreed upon the benefits of countries moving toward value-based healthcare pricing systems, accurately managing and analyzing big data, and adopting new technologies. The full conference report can be accessed here. Update on the Fiscal Year 2018 Appropriations Process and Global Health Priorities: On Tuesday, June 20, the Consortium of Universities for Global Health (CUGH) hosted an emergency webinar on the proposed FY18 budget cuts for U.S. global health programs. Tony Mazzaschi, Senior Director for Policy and Research at the Association of Schools and Programs of Public Health (ASPPH), and I offered comments on the scope and potential impacts of the proposed budget cuts. The discussion, moderated by CUGH Executive Director Keith Martin, focused on recommendations for engagement to ensure continued government investment in global health, including utilizing the lens of human security and highlighting the human consequences of severe cuts. The U.S.-India Relationship on Health: In March 2017, Richard Downie, Deputy Director and Fellow with the CSIS Africa Program, spent two weeks in India researching the U.S.-India health relationship, evaluating its strengths, and identifying areas of future collaboration. During meetings in Delhi, West Bengal, and Karnataka states, he learned about the value of U.S. investments in disease surveillance, health workforce training, and piloting innovative health delivery projects. In this episode, hosted by Nellie Bristol, we asked him to reflect on the big takeaways from his time on-the-ground and offers recommendations on the future of U.S. engagement in India. Ambassadorial Reflections on Diplomacy, Development, and Defense: Ambassador Scott DeLisi served in the U.S. government for 34 years as a diplomat, capping his distinguished career as Ambassador to the Republic of Uganda from 2012 to 2015. He also served as Ambassador to Nepal from 2010 to 2012, and previously as Ambassador to Eritrea, and as Deputy Chief of Mission in Botswana. He currently serves as Executive Director of the Soarway Foundation. In this episode, hosted by Deputy Director and Senior Fellow Sara Allinder, we asked him to reflect on the intersection of diplomacy, development, and defense and on the tumultuous period in 2014 when homophobic legislation was introduced in Uganda. What is the State of the Global HIV Response and Children’s Health?:Mr. Charles Lyons is President and Chief Executive Officer of the Elizabeth Glaser Pediatric AIDS Foundation (EGPAF). Prior to joining EGPAF, he was Director of Special Initiatives in the Global Development Program at the Bill & Melinda Gates Foundation. Prior to his work at the Gates Foundation, Lyons spent more than 20 years in increasingly prominent roles with the United Nations Children's Fund (UNICEF). From 2015-2016 he served as U.S. Representative to the Executive Board of UNICEF under President Barack Obama. In this episode, hosted by Sara Allinder, we asked him to reflect on the global HIV response and children’s health. Global Health Security and Climate Change: Mr. Ron Klain is General Counsel of Revolution LLC, an investment firm launched by AOL Co-Founder Steve Case in 2005. In addition to his private sector career, he has devoted considerable time to public service, most recently as White House Ebola Response Coordinator from fall 2014 to spring 2015. At the conclusion of his tenure, President Obama said that Mr. Klain had taken “on a challenge that many called insurmountable, and, in leading the team responsible for tremendous progress, helped remind the world what makes America so exceptional.” Earlier, he served as a Senior White House Aide to President Obama responsible for implementing the Recovery Act, and Chief of Staff to Vice President Joe Biden from 2009 to 2011. He has also served as Chief of Staff for Vice President Al Gore. In this episode, which I hosted, we asked him to reflect on his time as White House Ebola Response Coordinator and on the links between climate change and the spread of dangerous diseases. The Military’s Engagement in Global Health: Lt. Gen. (Dr.) Mark A. Ediger is the Surgeon General of the Air Force. In this capacity, he has authority to commit resources worldwide for the Air Force Medical Service, to make decisions affecting the delivery of medical services, and to develop plans, programs, and procedures to support worldwide medical service missions. He exercises direction, guidance and technical management of a $5.9 billion, 44,000-person integrated health care delivery system serving 2.6 million beneficiaries at 75 military treatment facilities worldwide. In this episode, which I hosted, we asked him to reflect on his time as Airforce Surgeon General and to share his thoughts on the military’s global health engagement, including during the Ebola outbreak in West Africa. ‘Madame President: the Extraordinary Journey of Ellen Johnson Sirleaf: Ms. Helene Cooper is a Pentagon Correspondent with The New York Times. In 2015, she was part of the team that won the Pulitzer Prize for international reporting, for her work in Liberia during the Ebola epidemic. In this episode, which I hosted, she discusses her new book ‘Madame President: The Extraordinary Story of Ellen Johnson Sirleaf’. Kentucky: My colleague Lily Dattilo, Program Coordinator and Research Assistant, and I paid a brief visit to eastern Kentucky June 11-13 to listen and learn about the opioid epidemic there, its trajectory, and evolving efforts to prevent and treat addiction. We also examined the rising law enforcement challenges of illicit drug trafficking. The knowledge gained, we hope, will inform future activities CSIS may launch. A short report summarizing our trip’s key findings and a blog post are forthcoming. Strengthening Partnerships for Health Innovation in India: On Thursday, July 13, from 2:00 pm - 3:30 pm, the GHPC will host a panel discussion of ways to strengthen and expand health partnerships between the United States and India. Speakers at the event include Dr. Kayla Laserson, India Country Director of the Centers for Disease Control and Prevention; Dr. Zeena Johar of Berkeley’s Institute for Transformative Technologies; and Dr. Betty Chiang, Senior Director for Public Health and Medical Affairs at Gilead Sciences. The event will serve as the launch of a new report by the GHPC, Accelerating Health Innovation in India, by Richard Downie and Deen Garba, GHPC Program Coordinator and Research Assistant. Ebola: People + Public Health + Political Will: If you will be in Atlanta, be sure to visit the CDC museum exhibition on the historic 2014-16 Ebola epidemic in West Africa, the U.S., and around the world. The exhibition explores the early days of the outbreak; the heroic work of West African and international healthcare workers; how CDC worked with the governments of Guinea, Liberia, and Sierra Leone, and other partners; how America responded when Ebola reached the U.S.; and issues facing Ebola survivors, including stigma. The exhibition features artifacts, first-person audio testimonials, innovative health communication materials, documentaries, stunning photographs by leading photojournalists, and images taken by CDC staff deployed to West Africa. It features the GHPC documentary “Ebola in America: Epidemic of Fear” that illuminates how Americans experienced Ebola in 2014. The exhibit will be open through May 25, 2018.